English, Japanese, Chinese, Arabic, Polish, German, French, Spanish, Portuguese, Italian and Russian. WHY IS BINARY.COM NOT SO GOOD? If you do not want to be directly called a gambler, then do not use this site. Binary.com has common attributes to betting companies. For other gambling may be fine but the term “trading” should not be confused with it because there are others out there who religiously trade. Some similar terms to betting are Red and Black, Up or Own. Have you heard of Beton Markets? If you have then, you might be familiar with Binary.com because this is just a rebranding of the Beton Markets. It seems quite obvious that there has been a lot of improvisations since its revamp. 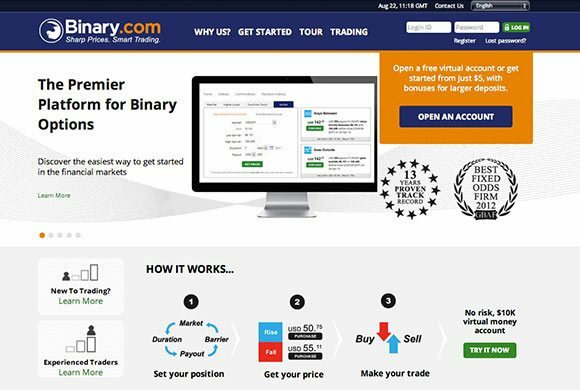 The company took a big leap on renovating it to become a more credible binary options broker. Its main feature is it’s advance charting package which other brokers do not have yet. This feature is basically appealing to legit traders and not to gamblers. As mentioned above, Beton Market is now known as Binary.com. However, even with this rename and reconstruction, it still has that gambling aura to trading. The impressive thing though is that it combines both areas pretty well. Another good thing about it is that it is regulated by the Maltese Lotteries and Gaming Authority and the Isle of Man Gambling Supervision Commission. Binary.com conducts its business with transparency but with supervision from the gambling regulatory body. This means that everything about it is legit! Moreover, right from the beginning, it’s clients know whom they are dealing with and that the company that owned betonmarkets.com is called Regent Market Limited which is situated in the Isle of Man and it is a part of a the Regent Markets Group. The platform it uses is its own and comes with great features that are fresh to the industry. The classic elements here are bet amounts, asset classes, expiry times, and so much more. Its platform can be conveniently used by a novice traders because it’s main features are quite spontaneous. For seasoned or experienced traders, they will learn about bonus features such as different kinds of charts and technical indicators. These bonus features can entertain the adventurous trader and offer probabilities to do the right technical analysis. For those adventure seekers, they will surely be satisfied knowing that Binary.com provides faster expiry times that not so many traders have heard of. For example, it has a something called the Tick Trade where you need to predict if the market will either go Up or Down after five ticks. That is really fast, right? This would actually mean that you are trading with and almost ten second expiry. This may not be your cup of tea but if you want a quick bet then this could be great for you. The great thing about Binary.com is that it is an ideal training ground for novice traders. The site comes with explanations and tutorials about Binary Options that are detailed and ideally structured. Its services come with a reliable and professional feel. However, there is one puzzling about it – its capacity to do trade in Random Markets. The site states that Randoms are indices that are developed from random numbers. The range it offers are quite huge beginning from Random Indices 25 to 100. These values correspond with 25 percent, 50 percent, 75 percent, and 100 percent volatilities. These things can be a bit confusing but once you get use to the site system you can easily understand it. Generally, Binary.com has a reliable trading environment and brings great innovation to the binary trading industry. It always has something for every trader. If you are a fast trader then you can surely appreciate it because you will be entertained. With these details, you would want the site to be a scam. Luckily it is not because although it is not regulated by a trading authority but it is regulated by a gambling one. At least it is regulated by some authority.